Welcome new FBLA members to an organization with incredible opportunities. I’m sure you’ve heard a friend or another member say many exciting things to describe this organization. There is a plethora of activities and programs to participate in, but allow me to introduce you to the fundamental elements of what makes FBLA so amazing. Here are a few easy ways to get involved this year so you can experience what they’re talking about. A major part of FBLA involves preparing students in business-related fields and helping them dive into a career of their passion. One awesome way to explore your interests is through our competitive events program where members can choose from a variety of business industries. Computer science, marketing, graphic design, and finance are simply a few areas of what the events range from. If you’re interested in participating in this program, make sure to ask your adviser to register you so you can compete at conferences! FBLA holds numerous conferences throughout the year for members to attend. Fall Motivational Rally our first conference in October that is held at the National Fairgrounds in Perry, Georgia, that starts the new membership year with motivational speakers, plans for the new year and carnival activities. Moving on, Fall Leadership Conference in Athens, Georgia, is held in November to help members get advice about competitive events, seek professional networks, and learn at workshops. 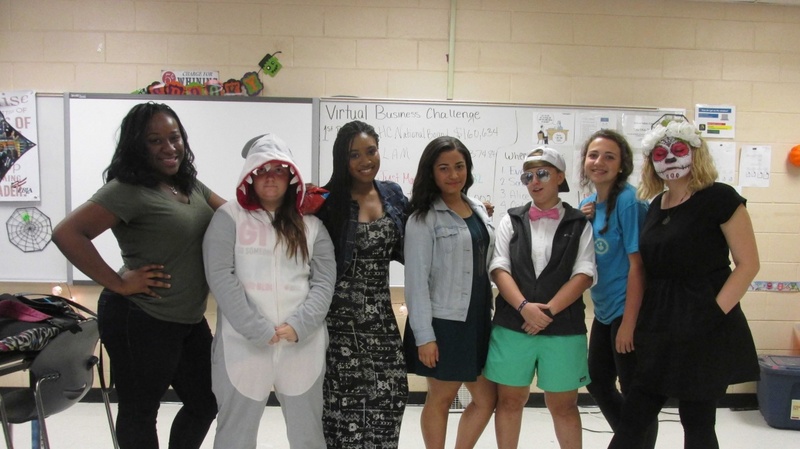 Other Leadership conferences that pertain to competition are held throughout the school year and part of the summer. Our organization also encourages members to volunteer. Your local chapter may already be planning some service projects, so go start taking action in causes you believe in! Moreover, to reward members for devoting time to others, we have the Community Service Achievement Awards that record your service hours. Members can achieve 3 levels of recognition, Community, Service, and Achievement by reaching the number of hours required. Talk to your local adviser to receive a login! As it says in the name, FBLA is a place that fosters leaders. Whether it is through officership or the Business Achievement Awards, members can find their way to emerge as a leader. Officership ranges from local, regional, state, and national levels. Each experience is unique and can teach valuable lessons. In addition, the Business Achievement Awards (BAA) is a membership program that helps members expand their knowledge and involvement in business. There is recognition for every level you complete and there are 4 levels to complete: Future, Business, Leader, and America. Ask your adviser for a BAA login if you are interested in taking part in it! Hopefully, this article served as a good introduction to the organization and also showed you what you may be interested in. This month’s activity comes from the Bronze Level. We’ll be focusing on Activity 2: Be a HERO for Babies from the category Service: Super Star. The above are suggestions for what to include on your rack card. You have the freedom to convey any message you think is important. Not only does this card help you advance to the next level of your LEAD program, but it can also be used at a chapter meeting or in the community to promote our national service partner. 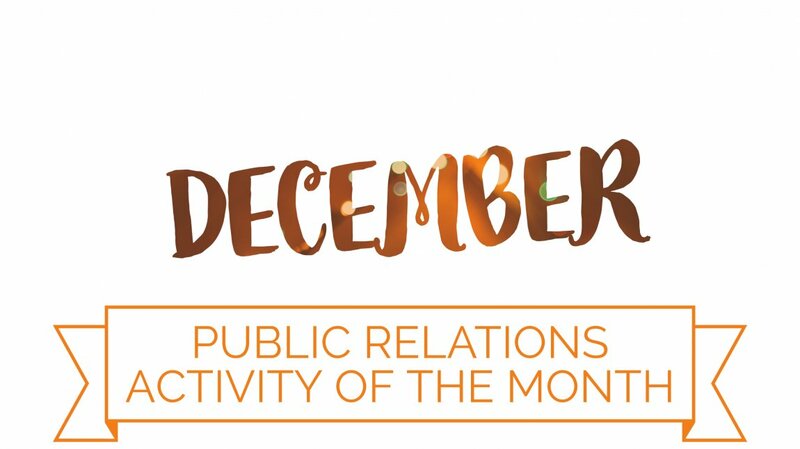 With 2018 right around the corner, December is a great time to recognize and reward others for their hard work this year. This month, I suggest selecting members from your local chapter to recognize and reward with a sweet treat so they know they are appreciated! Did someone complete the America level of the Business Achievement Awards? Maybe a member showed extreme dedication in preparing for their competitive event or community service project? Write a card or dedicate a post to them on your chapter’s social media sites to remind them how much they matter to making your chapter and our organization such a great success! Continue rewarding the best bridges around and inspiring for the construction of more bridges this year! 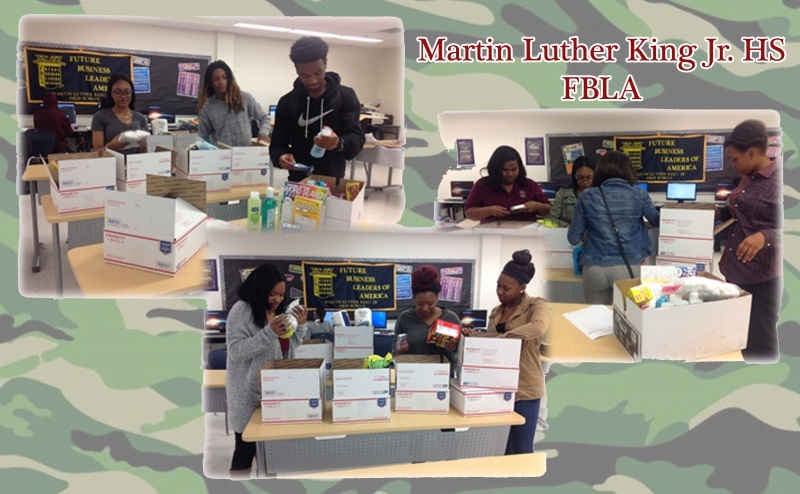 Our FBLA chapter at Martin Luther King Jr. HS has dedicated their time and efforts into collecting cards, letters, food, toiletries and leisure material for our U.S. Service Members serving in harm’s way. 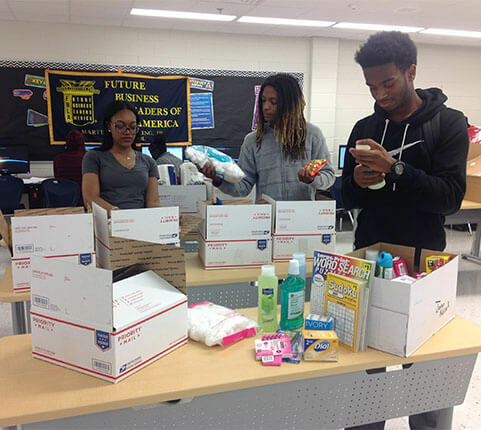 We want to provide these care packages for our deployed troops to let them know that we stand behind them. We understand that their jobs are difficult and being away from loved ones can be heartbreaking so we wanted to show them that we care and are there for them 100%. We have successfully collected items and packed over 15 large boxes ready to ship overseas. We intend on continuing this community service project all year round. 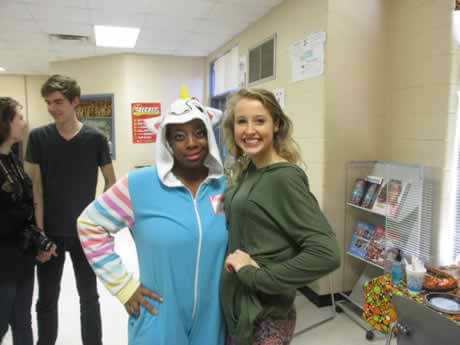 Harris County HIgh School held a Halloween social on October 30th. Students had a great time and got to know one another better.